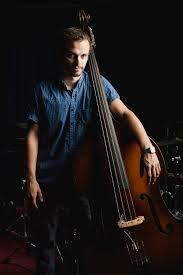 Shane Cooper is a jazz bassist, composer and producer based in Cape Town, South Africa. He recently launched his debut record with his quintet. 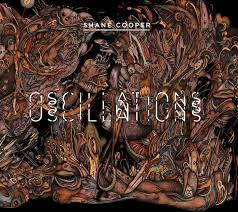 The album, titled Oscillations, is out now on iTunes. In 2013 he was selected as the Standard Bank Young Artist for Jazz. He was a member of the groups Babu (SAMA Nominee) and Closet Snare, and still works with the Kyle Shepherd Trio (SAMA Nominee) and the Reza Khota Quartet, and has also worked with artists like Zim Ngqawana, Feya Faku, Louis Moholo-Moholo, Malcolm Braff, Jeroen van Vliet, Marcus Wyatt, Soweto Kinch, Melanie Scholtz, Bokani Dyer, Nicky Schrire, Afrika Mkhize, and more. As a composer Shane has written music for the award-winning documentary Forerunners by Simon Wood, the documentary Port Nolloth: Between a Rock and a Hard Place by Felix Seuffert, the short film Celia’s Story by Ruth Levin-Forster. He also co-composed music for the award-winning theatre production and documentary Afrikaaps, as well as the film Visa Vie by Elan Gamaker which won a SAFTA in 2011 for Best Feature Film Music Composition. Shane also writes and performs electronic dance music under the name Card on Spokes, with a 2nd EP coming out in late 2013.